Archived Info on previous LEAF Summer Camps is below. 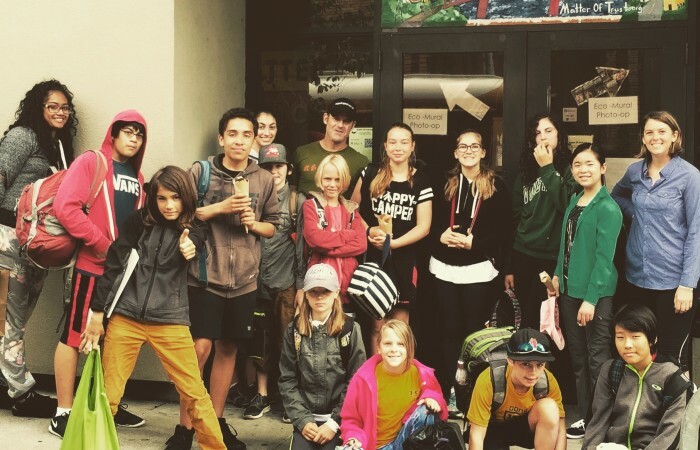 The LEAF Academy program is for middle school kids ages 10-13 in the San Francisco Bay Area with teachers from Presidio Hill School, Matter of Trust and beyond! Visit a fantastic student blog documenting their experiences and learning at LEAF student vlog. See what LEAF Academy is about at LEAF Academy – The Movie! Fun with new friends for the school year and beyond! At LEAF, today’s youth are empowered with the right tools and social skills to share environmental concepts effectively. Each unit provides a deep understanding of natural systems, scientific principles, and vocabulary. Students get valuable exposure to experts in the field and hands-on experiences designed to enhance their perspectives on ecology. Our unique adventures help the kids form natural friendship bonds, team building, and strong communities! At the LEAF Academy, we’re passionate about helping kids develop a deeper understanding of and appreciation for ecology. That’s why we offer a dynamic ten-day summer program designed to inspire your child to help make the world a better place. We believe kids learn best by doing, therefore every day at LEAF consists of authentic, hands-on fieldwork. Our campers interact with amazing scientists, engineers, and other professionals whose work helps make our planet more sustainable. We travel to both urban and natural sites, allowing kids to experience first-hand the wonders of nature and how interconnected it is to their lives. They come back profoundly motivated by what they’ve learned and ready to make a difference! LEAF visits many locations on daily field trips. The volunteering we do spreads far and wide, and we are partnered with many amazing organizations. Here are some organizations and places we’ve visited in the past: Turtle Island Restoration Network (SPAWN), San Francisco’s Rec & Park Department, San Francisco Public Utilities Commission (SFPUC), Recology, Presidio Trust, Heart of the City Farmers Market, Luminalt Solar, Rainbow Grocery Coop, GLIDE Memorial, Blue Waters Kayaking, Tenderloin People’s Garden, Gospel Flats Farm, San Francisco Food Bank, City Slickers Farm, Marin Organics, Good Earth Coop as well as many community spaces and public parks.